Lori Lynn Smith is a passionate and an authentic teacher who shares her real life experiences about creating a more nurturing and fulfilling lifestyle. 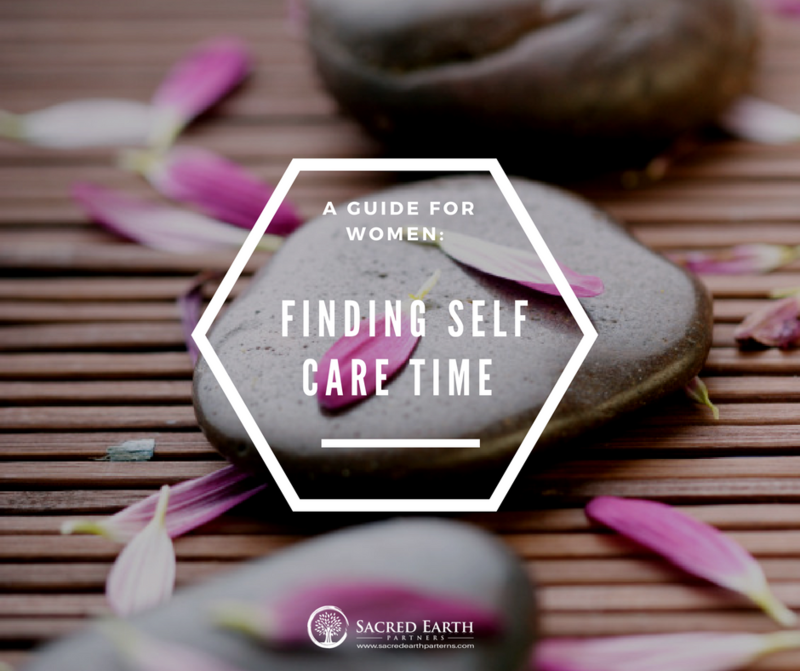 This can lead to women experiencing depression, anxiety, or just a general feeling that you are worn out. I often say sick and tired of being sick and tired. Besides how it affects us personally, being worn out also means that your performance and attentiveness to all you have to do will suffer. Irritation becomes common, as we feel overwhelmed and unable to deal with the stressors of the day. Everyone is different, and each individual has different ideas about how to find time to for ‘self’. This is a guide to how to make some ‘self’ time. The solutions below are not the only ones but may give you some ideas on how to find space and time in your life. Go and grab a drink somewhere, get some exercise, or even just disappear to another part of the house. Anything you can think of to do that would enable you to free up space in that busy head of yours. Nature is the best gift you can give to yourself, spending time in nature will energize like no other activity, even if you just sit under a tree in our backyard. Now go get yourself some ‘self-care’ time. A little over 18 months ago, my ex and I made the decision we needed to do something about the debt. We were in WAY over our heads. But action was needed! We had a recommendation from friends to speak with a specific debt management company. It always takes awhile to get the courage to make a call, but eventually get was done. This really is a multi-step process though. You need to look at what you are currently spending and then decide what action needs to happen. Let’s face it most of us are living out side our means! This means you are spending WAY more then you are bringing in. AND most of us are acting like an ostrich, we have our head buried in the sand “hoping” that it goes away. I definitely realize that sometimes there is an external event like illness or job lose that starts you on a path that you did not intent. But either way by starting on this process you are taking back control of you finances and making decisions based on your decisions rather than by default. Let’s try this again with a more detailed look at it. Step 1a: Download your last 3 months bank statement into a spreadsheet. Step 1b: Review the spreadsheet, categorize everything. this step will take a bit of time, I would plan for an hour. Start with income, go on to the big things, housing, utilizes, food credit card payments etc. I recommend starting with the categorizes high level on the first pass. Step 1c: Breathe! and then look at how much over your income you are spending. a few dollars? a few hundred dollars? a few thousand? This could be overspending or it could be debt repayment. I added all my accounts. I can easily review each month to confirm or adjust spending categories. You do have the option to split items as well. For example at Walmart you bought groceries and clothes, you can split that out into the correct categories. Very cool! And you can budget easily! I was completely serious, start with the big categories, later you can move on to the fine details. Start here, start now. For the first 6 months, I focused on 2 things – monitoring everything I spent and planning a way to increase my income. For me that meant getting a job and moving to another city, not everyone will have that exact experience. The point is I had to make decisions about where I was going and commitment to make this a way of life. A year ago August, I had a new job and I moved to new city…. the first two months I stay with a friend so I was able to save the money I needed for a deposit and first months rent, moving expenses and debt repayment, didn’t really leave me with much, but I still stuck to the plan. I started automatic savings plan right away and by December I doubled my savings. Each month I am looking at my spending and my budget and each month I am tweaking it a little. As you can see on the screen capture to the right my Sacred Earth Partners category is in the red. Two things I am looking at here, is everything being categorized correctly and do I need to trim the spending or increase the budget. If I decide that I need to increase the budget, then I would have to remove it from some where else. But I have all the data to make an informed decision. 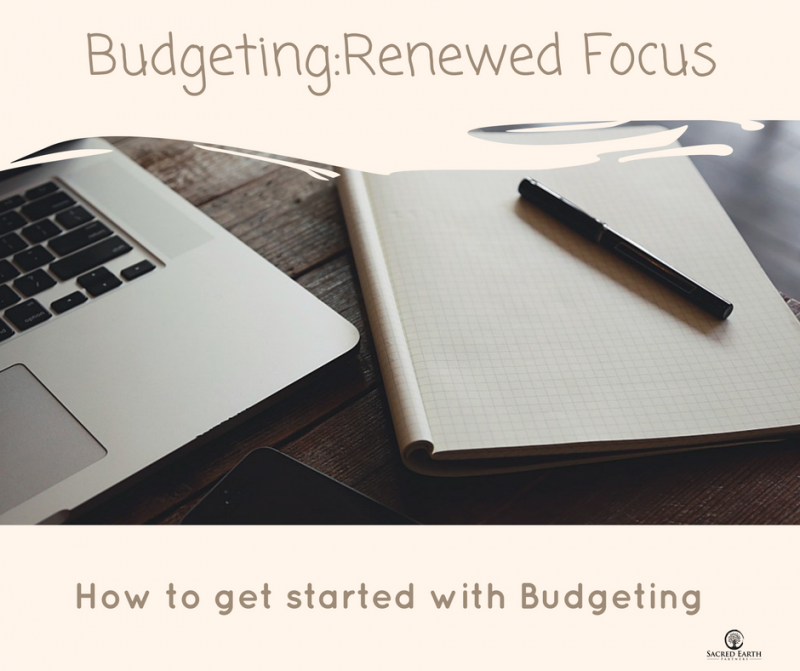 In up-coming posts I will explore options for budget that are great options. 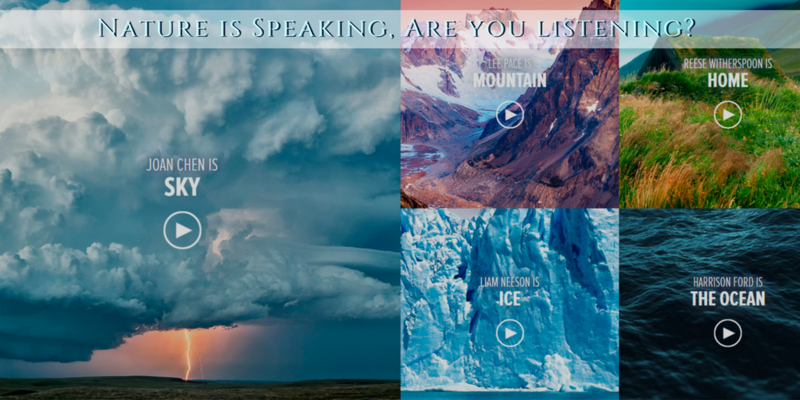 Nature is Speaking, Are you listening? These are a wonderful set of short videos that are really to the point! For me they are an arrow to the heart! The definitely share the thoughts and meaning behind Sacred Earth Partners! Our food, our water, our health, our jobs — they all rely on the health of the planet’s ecosystems. Reese Witherspoon, Liam Neeson, Julia Roberts, Harrison Ford, Kevin Spacey, Edward Norton, Penélope Cruz, Robert Redford, Ian Somerhalder and Lupita Nyong’o all join forces to give nature a voice. Each of us only has 86400 seconds or 1440 minutes or 24 hours per day and they go by quickly, so you surely don’t want to waste any of them! I have been alive for 58637778573 Seconds or 977296310 Minutes or 16288272 Hours, WOW! So when I think back, did I use my time the best way I could? Probably not, but I can start now. After all I probably still have 1,937,735,166 seconds left to live, I shouldn’t be wasting it. By maximizing your efficiency, you can complete every item on your to-do list with time to spare! Before you start a task take a few moments to get everything arranged, whether small or large and create a time-saving game plan. Lay out all of your supplies; know exactly where you’ll start and where you want to finish. Checklist: Create a checklist and check it twice. When laying out your supplies, place them in the order that they’ll be used. In doing so, you’re able to shave a few seconds off of your project time whenever you reach for supplies. 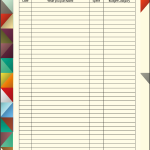 Milestones: Even if you don’t have supplies, you can still benefit from a checklist. Create milestones. If you’re checking the milestones off as scheduled, you’ll know that you’re on the right track. If you’re checking them later than scheduled, it’s time to speed things up. I love being able to check things off, it helps me feel that I am successfully moving through all my tasks. There are many strategies that can assist you with organizing your life and your life plan/vision, this can really create clarity and propel you further ahead. Take a look at some ideas from Katie Tallo over at Momentum Gathering on Get Organized and Get on with Your Life. 2. Chunking and Single Focus. If you have a time-consuming task to take on, rather than dreading the hours of work that are ahead, chunks. Group all similar tasks together and then work within a specific time period. Working in spurts of 25 minutes, with a five-minute break in between, still allows you 50 minutes of work time without feeling worked to the bone. It’s important to focus solely on the task at hand while working in spurts. If you take even a two-minute break, you’ve lost two minutes of work time and increased your break time by 20%. Concentrate on one task at hand. If you’re preparing for a presentation for work, the only things that you should be doing throughout your 25 minutes is writing or studying. No using the restroom, changing the song, no checking emails or Twitter, or helping your co-worker – just writing. Jonathan Mead from IlluminatedMind.net wrote a great guest post over at ZenHabits.net on 10 Ways to Use Laser Sharp Focus to Get More Done. 3. Energize. In order to be efficient, it’s necessary to start the day off on the right foot. First, get a good night’s rest and eat a healthy breakfast. Wake up early: You’ll find that you’re more energized after breakfast at 7:00 am rather than 11:00 am. Plus, you’ll add extra hours to your day, which allows you to cross off tasks on your to-do list even sooner. Then, the rest of the day is yours! Exercise: Just 15 minutes of physical activity in the morning, whether it is a walk around the block or a quick spin on your exercise bike will get the blood pumping to your brain and get your firing on all cylinders. Check out Steph from StephRiceFitness.com, she has an awesome Forest Bodyweight Workout that you can do anywhere. 4. Eliminate all distractions. Distractions are a part of life and everyone’s schedule is susceptible. Rather than trying to fight them off, eliminate them completely. Offline tasks: Turn off the computer, place your cell phone on silent, and unplug the television and all other things that are known to be a distraction to you. In doing so, you’ll be less likely to channel surf, catch up on your Facebook friends, or chat away when your friend calls. Online Tasks: If you need to get something done on the computer in a timely fashion, block the websites that are known distractions by using LeechBlock, a Firefox plugin. This plugin allows you to restrict your visitation to the websites of your choosing. One of my favourite ways to eliminate distractions is to spend time each day in meditation. Mary Jaksch from GoodLifeZen.com has an awesome article on How to Meditate: 10 Important Tips. 5. Invest in time-saving assets. The final, and possibly most important step, is to invest in items or services which permanently shave minutes off of your day. It may be more money upfront, but you can potentially shave hours of chores off of your to-do list each week. Gadgets: Invest in an automatic floor cleaner to automatically clean the floors each week. Also, a lawn mowing service, purchasing a dishwasher, and opting for carpooling are additional strategies that can shave time off of your to-do list. I just bought a newer, more efficient dishwasher on the weekend, it makes me very happy, not to have to rinse or re-wash the dishes! Delegate: Invest in service to do the job for you, maybe it is a maid service to clean once a week or maybe it is a VA that monitors your emails and customer service requests. This allows you to focus on the aspect you are expert at and allows you to finish your tasks better and faster. Honestly I believe that starting is 95% of , the battle. Once you get organized and spend a chunk of focused time on your task, it has a habit of taking much less time than you thought it would. And I have ALWAYS found that it is much more enjoyable than you thought. How often have you procrastinated a task, just because you thought it was going to be hard or awful? me? lots! 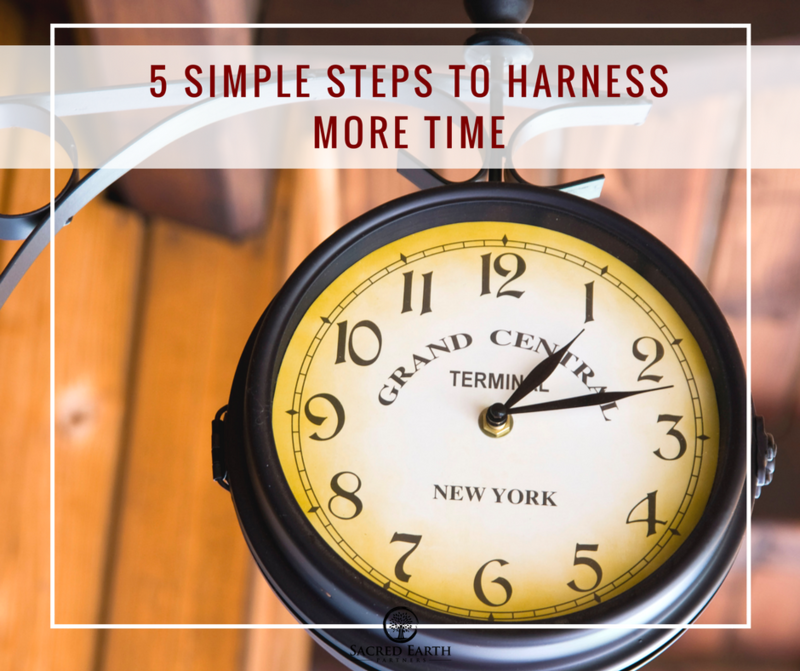 What other tips or strategies do you to Get more done with Less time? Leave a comment below, we would love to hear about it. A common stumbling block I see standing in the way of most people otherwise reaching and achieving their goals is that they simply stop focusing on them or move on to other things. Notice it wasn’t that they lacked the know how, but rather they lost focus. If you’ve found yourself guilty of this (as most of us are at times) the following tip should be a welcome addition to your life — and success journey. I caution you not to downplay the simplicity of it. It works, and there are countless examples of high achievers who have put it into play in their lives and are reaping great rewards as a result. First you need some 3×5 index cards. See, as promised nothing fancy.. Oh, and you need a writing pen. Since as I always say, personal development is a hands on project, you have room to personalize this idea so that it works best for you. With that said, I’ll explain how I use the 3×5 index cards goal-setting tool … Again keep in mind you can certainly tweak any suggestions here as you see fit. I would write down the particular goal. For example, lets say my personal goal is to write at least one new article a week. Join me on my Wholistic Living journey, sign up for Tips and Strategies! It’s worth noting that I do adjust the wording according to the particular goal I am recording, but in all instances I like to include the last part which reads “This or something better is happening in my life now for the good of all concerned”. I write in a present tense. I find this helps make the distinction in my mind between what I am doing (I.e. Being active and taking the real action necessary to see results) versus simply what I’d like to do. Remember, we’re on our way to making our goals a reality when we take the needed steps to achieving them, not simply hoping they’ll happen on their own. Writing my goals in the present tense makes a difference. Another thing I do is include a little supporting statement for my goal. In the example above I included “I receive nice notes from people that read my writing to let me know that they found the ideas helpful”. I find that including a statement like this helps to give life to my goal — and help highlight one of the reasons why it is worth taking the effort to work on the goal. You might consider it written visualization. Just as visualizing an outcome in your mind helps to manifest your goals, so adding a little written visualization to your goal card will give some added emotion as you are reading and reviewing them. 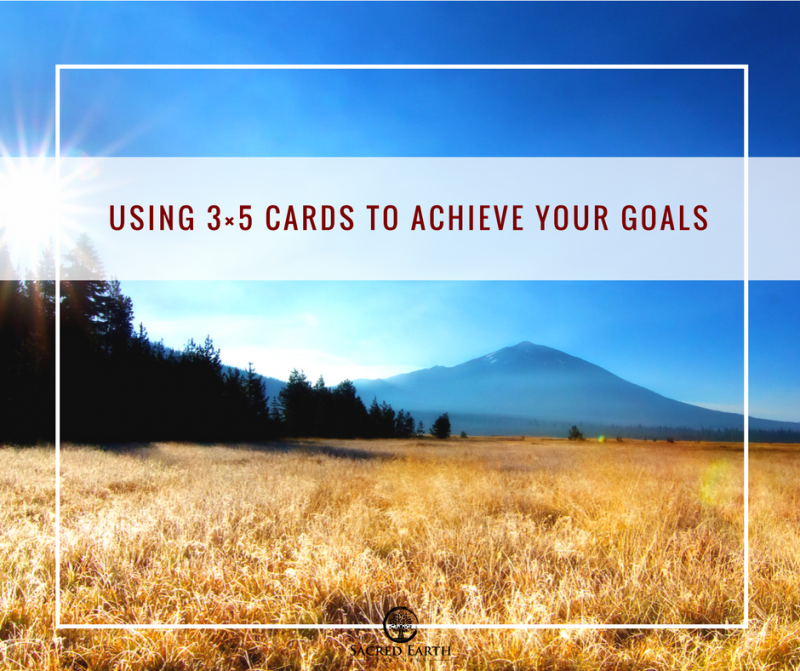 The key to why keeping your goals written down on 3×5 index cards works is because they’re easy to keep around. They can easily fit in your pocket, on your desk, or practically anywhere. Since it is easy to keep them nearby, it is also easy to review them often! And make no mistake… Reviewing your goals as often as possible is what makes all the difference. Think of it like this… When it comes to goal achievement, out of sight and out of mind is a killer. And seeing as how our lives can move 90 to nothing it is far to easy to be sidetracked by any number of life’s challenges. 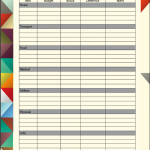 So in summary, set regular times with yourself during your day to review your goal cards. Keep them in places where they won’t be easily missed. While it is true this idea is a simple one, it is also true that it is easy to neglect taking action on it. While simple, it does work — if you work the idea that is. One of the many excuses to getting to your workouts are that you don’t have access to a gym. Well our ancestors didn’t have access to gyms either. 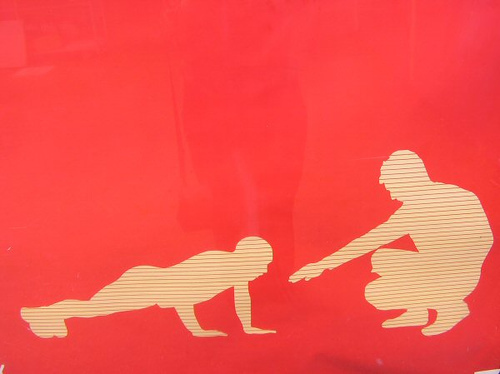 I am not a Dr/ or a Trainer, so always check with an expect before starting out with a new exercise program. Here is a list of really awesome body weight only workouts that you can do ANY where no excuses! Spartans didn’t have gyms back in the day either, and I think they turned out okay (except for the whole dying thing). So what can you do to burn some fat and build build some muscle without a gym? You will find a recurring theme in this community. “Do more of what you love, and less of what you don’t.” Personally I believe you should lift heavy things, run really fast, eat real food, and have fun doing it. Join me on my Healthy Living journey, sign up for Tips and Strategies! Demand Media and the Lance Armstrong Foundation envisioned LIVESTRONG.COM as the definitive destination for those who want to build their own healthy living success story. We believe that everyone should feel empowered through food, fitness, and inspiration to pursue their best life because eating well and staying active are critical components in preventing cancer and fighting other illnesses. I hope that you are inspired the same way I was reading these articles!